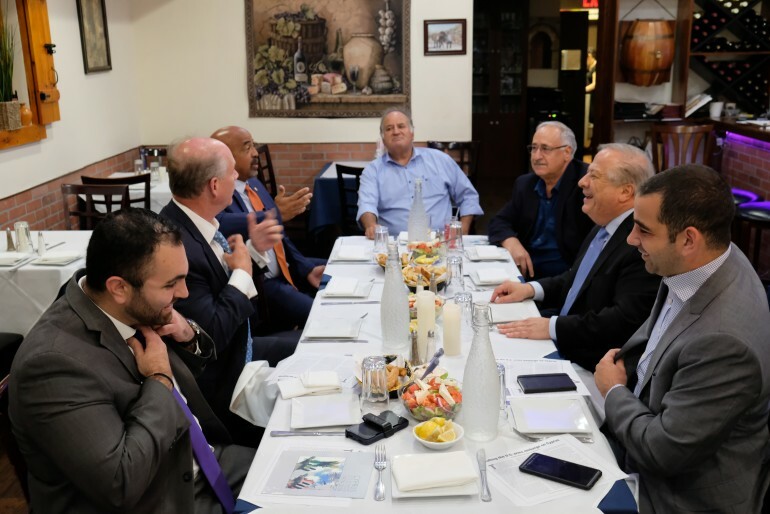 U.S. Secretary of Defense James Mattis will meet before the end of the month with the Defense Minister of the Republic of Cyprus Savvas Angelides, Congressman Dan Donovan told a group of Greek American supporters, last Friday. 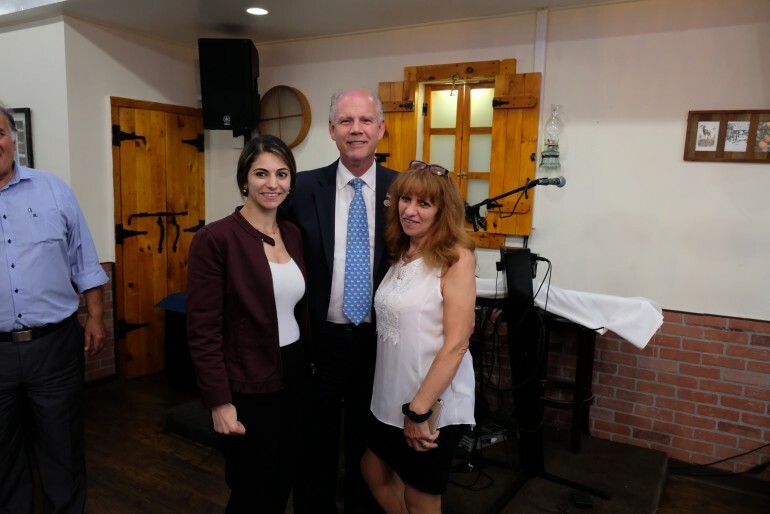 Donovan is a very close ally of President Donald Trump, representing New York’s 11th Congressional District (Staten Island and Bay Ridge Brooklyn) at the U.S. House of Representatives and he is running for reelection in November. “General Mattis is going to meet with the Minister of Defense of Cyprus this month. We have an embargo on Cyprus and now I suspect the Trump Administration is going to review that”. 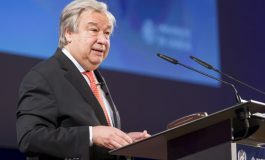 The meeting – most likely to take place during a stop of General Mattis in Cyprus – hasn’t been confirmed by the Cypriot Government. A Cyprus Government official told the Greek News that they don’t have such information, although a meeting is expected take place on Monday between Minister of Defense Angelides and the U.S. Ambassador in Nicosia Kathleen Doherty. If it occurs, it will be the first ever meeting between a U.S. Secretary of State and his Cypriot counterpart. On August 20, Chief of Staff for the U.S. Army, General Mark A. Milley met with Chief of the Republic of Cyprus National Guard Lieutenant General Ilias Leontaris and U.S. Ambassador Kathleen Doherty in Larnaca, at the presence of and UK High Commissioner Stephen Lillie. General Leontaris has been invited later by the U.S. Army Chief later this month in the United States, to participate in a conference. Cypriot government is asking for a meeting with the Chief of the U.S. Pentagon to reflect on the elevated status of their defense relationship. 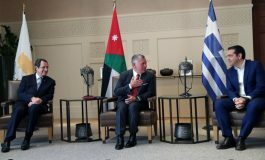 Diplomatic sources told the Greek news that when Foreign Minister Christodoulides will visit Washington to meet with Secretary of State Mike Pompeo (most likely end of October – beginning of November), there is a possibility to meet with Secretary Mattis as well. 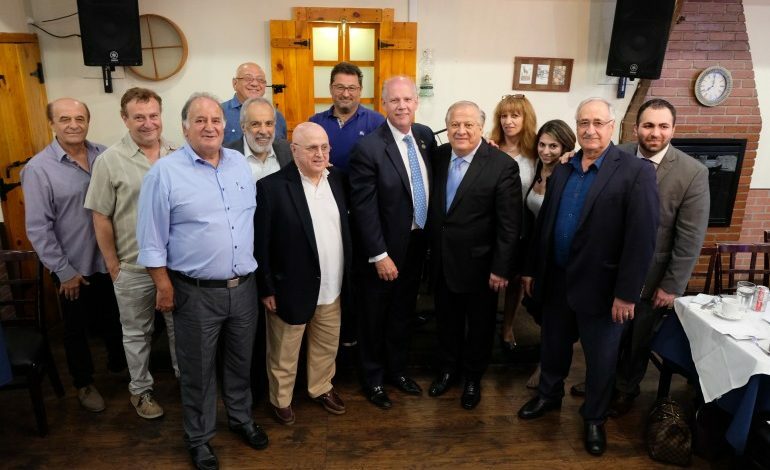 Speaking to the Greek News, Congressman Donovan praised President Trump’s foreign policy, saying that one of the things about this President is he doesn’t do things we have always done. 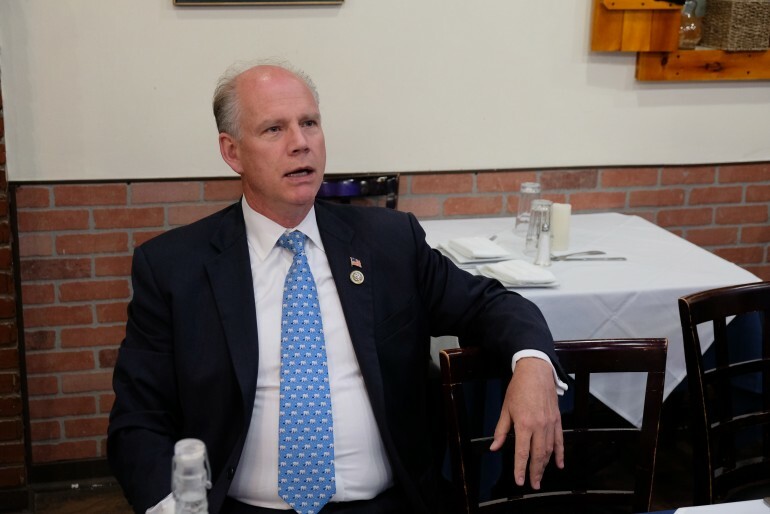 Congressman Donovan told the Greek News that the supporters of Greece and Cyprus are going to be very pleased with the results of the Trump administration. Speaking about the National Defense Appropriations Act, he said the NDAA which funds on military now prohibits the United States from selling F-35s to Turkey. “The president has signed that and now it’s the law of the United States. The President has asked for a report that is due in November to see if that position should change at all. Again, it’s refreshing that he is looking on policies the United States has had in the past but he is not accepting the fact that it was done this way. He wants to know why and if we have to change our policy and our allegiance to various countries throughout the Globe, he is willing to do so. 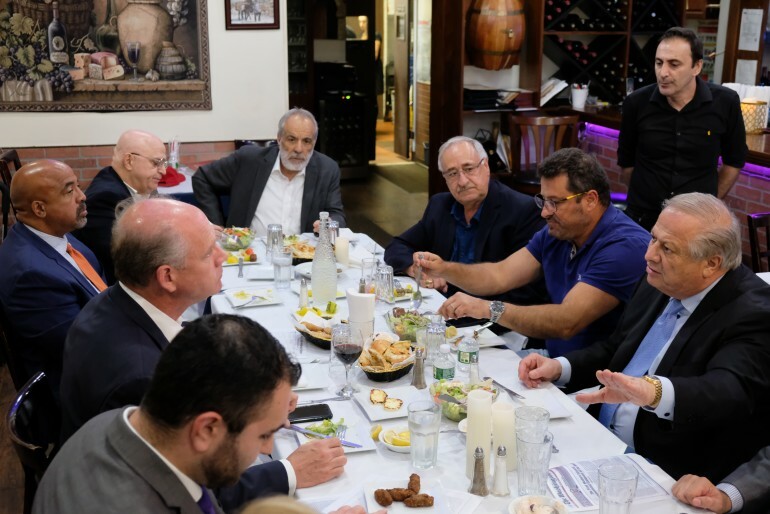 The event has taken place in Astoria and the members of the Community – among them Philip Christopher, President of the International Coordinating Committee “Justice for Cyprus” – briefed the Congressman about the recent developments on the Cyprus problem, including the Turkish provocations and threats in the Cypriot EEZ. 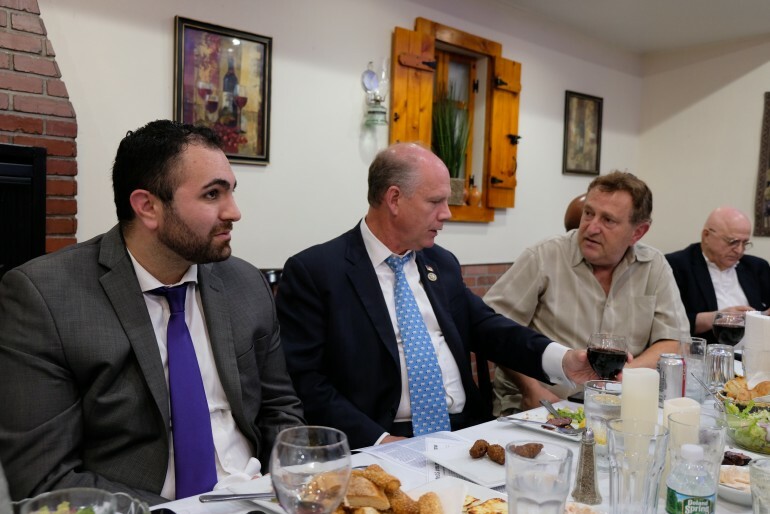 Philip Christopher told Congressman Donovan that the United States needs a policy that will make clear to Turkey where our Government stands. 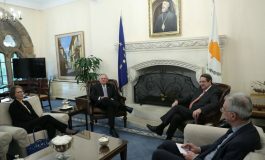 The Greek Americans also explained him the recent difficulties raised by Ambassador Niki Halley during the discussion of the recent UNFICYP Security Council Resolution. Dan Donavan, o former Staten Island District Attorney, was first elected in a May 2015 special election. The district includes all of Staten Island, as well as portions of southwest Brooklyn. He is the only Republican representing a significant portion of New York City in Congress. He has strong ties with the Greek American Community of his district and he is a member of the Hellenic Caucus. 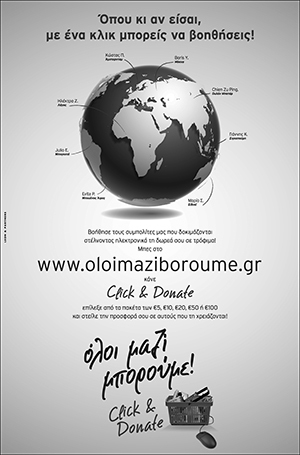 Speaking to the Greek News, he praised Greek American Community.